We are settling in to our new routine and I am learning how to be a full-time grad student and working mama. Only 4 months until I am done with my Masters and the school year is over. Can't wait for a summer full of fun with my Bennett!!!! I can't believe how much he has changed since his 1 month picture!! Hair: A lot more blonde is starting to show through underneath but he is still my brown haired boy for now! When people see him in person they cannot get over how much hair he has...but it really has fallen out a ton! Clothes: We are official out of newborn clothes and it is so bittersweet. 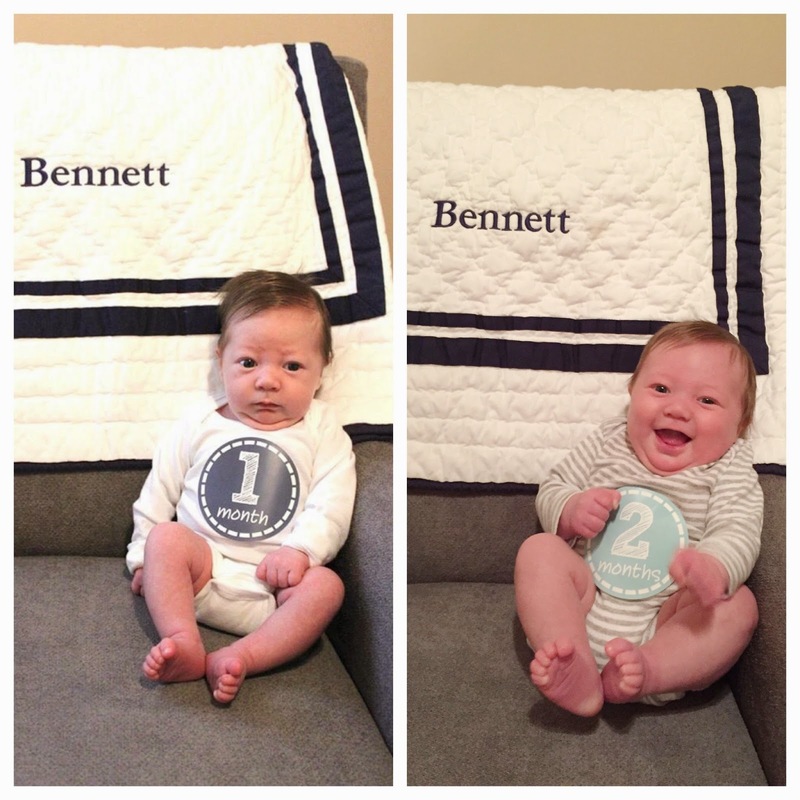 Bennett is wearing mostly 0-3 months and a couple 3-6 month outfits. Sleeping: Bennett goes down for bed at 9:00 and usually sleeps until 2:00 or 3:00, eats and goes back down until 6:00 or 7:00. 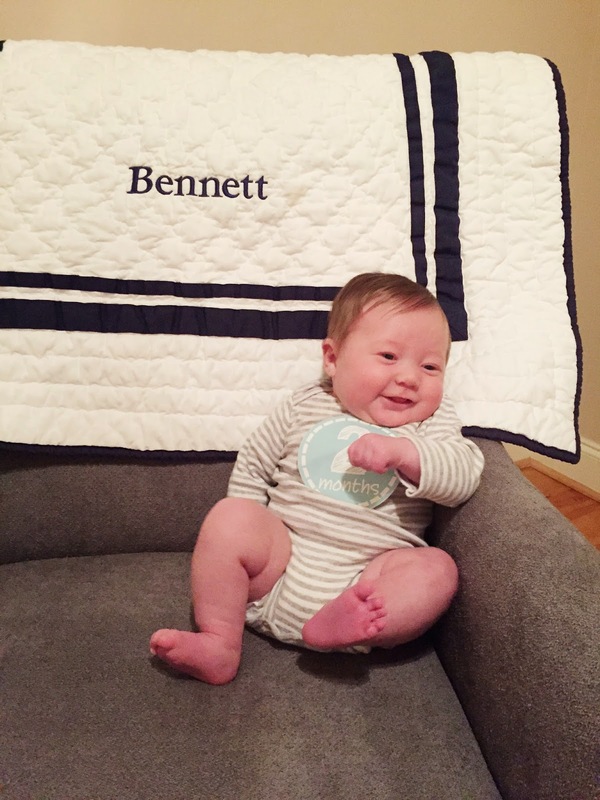 Some nights are better than others and were working on getting rid of the middle of the night feeding : ) He has consistently been sleeping in his crib at night and is doing great with it. He finally loves to be swaddled and it puts him to sleep instantly. 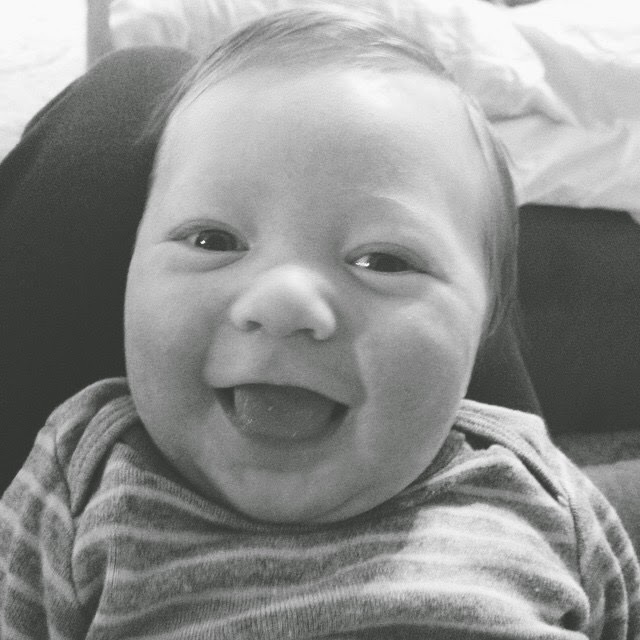 Likes: Bath time, his car seat, going on walks, eating, and his paci. 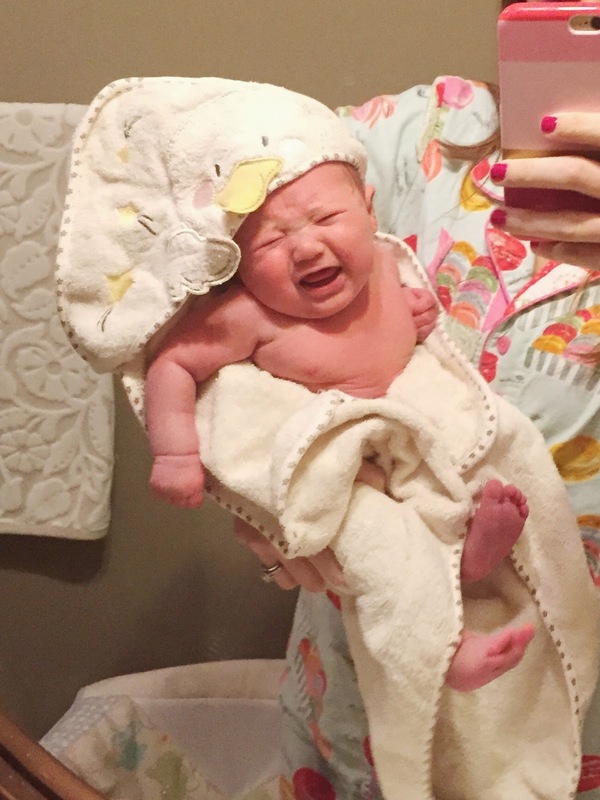 Dislikes: Being hungry, having a dirty diaper, and getting out of the bath. Eating: 5oz bottles every 3 hours during the day and once in the middle of the night. 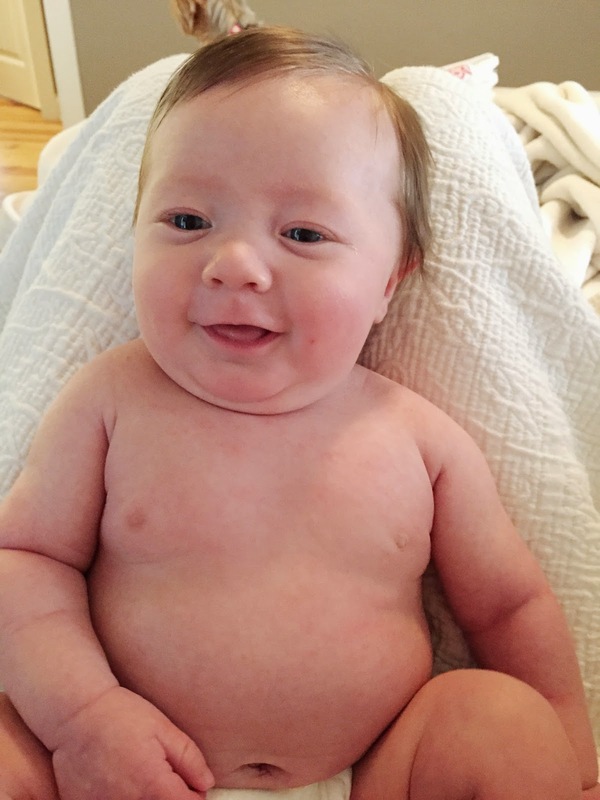 Milestones: smiling and cooing a ton! 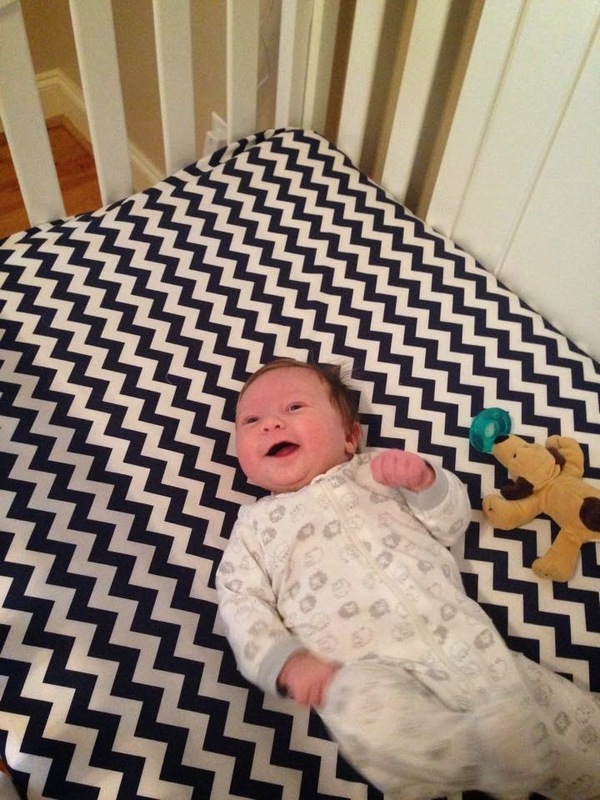 He is also holding his head up really well during tummy time. He is sooo sweet. You are a rockstar mama and I totally look up to you, and will probably bombard you with questions when its time for me to go back to work after my little guy is born. I am so excited for you to have a break from work and your school to just enjoy your baby this summer, you guys are going to have the BEST time!